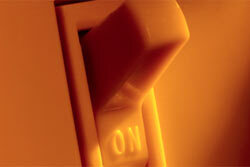 Energy Assistance provides emergency assistance to individuals and families having difficulty paying their energy bills. WCA completes applications and connects applicants to the appropriate energy assistance programs such as the $1 Energy Program. Eligibility varies based upon individual energy program. You may qualify for gas utility assistance if you make less than the 200% column for your family size on the Federal Poverty Guidelines. For electric assistance, if you make less than 250% of the Federal Poverty Guidelines, you may qualify for assistance. Download the guidelines and compare your income. Contact us for more information about the Energy Assistance Programs available in Westmoreland County. Westmoreland Community Action operates an Emergency Food Pantry from our main office. The pantry provides food to a family/individual in a time of crisis. Referrals can also be made to similar services found in other communities throughout Westmoreland County. Westmoreland Community Action is a food pantry for the Westmoreland County Food Bank on the third Thursday of each month. You may qualify if you make less than the 150% column for your family size on the Federal Poverty Guidelines. Download the guidelines and compare your income to the 150% column. Contact us for more information about Westmoreland Community Action Food Bank and Emergency Food Pantry. Funding for the Energy Assistance program is provided by local energy suppliers and the PA Department of Community and Economic Development. The Food Pantry is funded by donations from individuals and the PA Department of Community & Economic Development. The Westmoreland County Food Bank supplies food for WCA’s monthly Food Bank. Contact us for more information about Westmoreland Community Action Emergency Services.